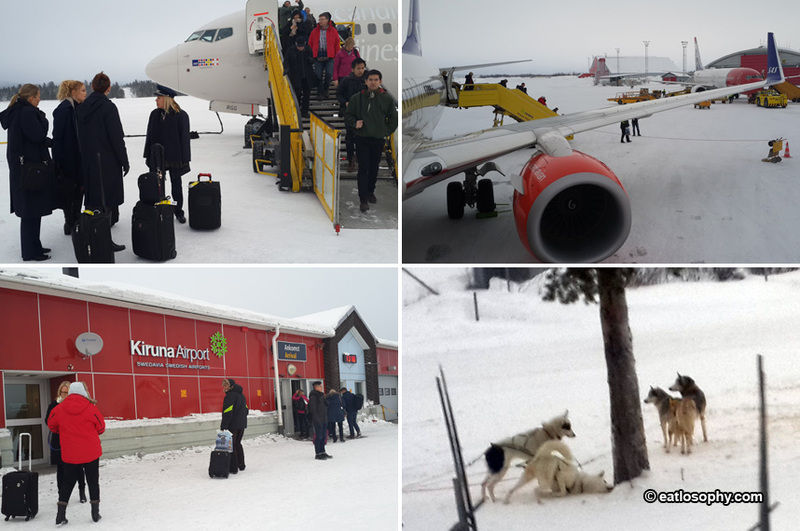 We flew from Stockholm to Kiruna. 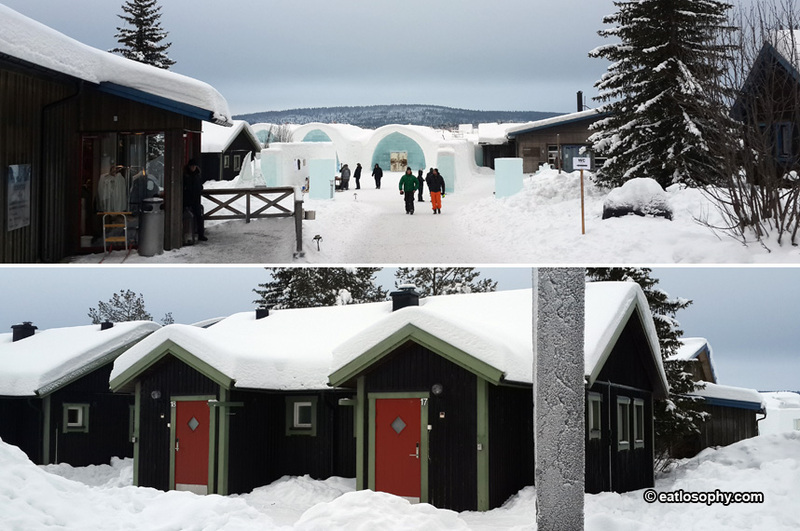 The IceHotel was a quick drive from Kiruna airport. You can pre-arrange to have the IceHotel set the transfer even by dog sled. We didn't opt to have a husky transfer, we saved that and took a quick 15 minute coach transfer to the hotel. 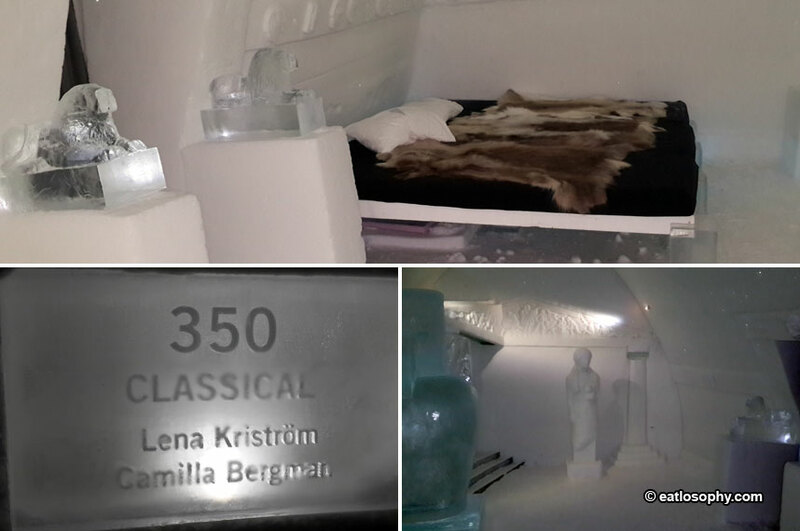 We had decided not to stay in a "cold room" during our one night stay in IceHotel. We slept in a warm room and toured the cold rooms during the day. 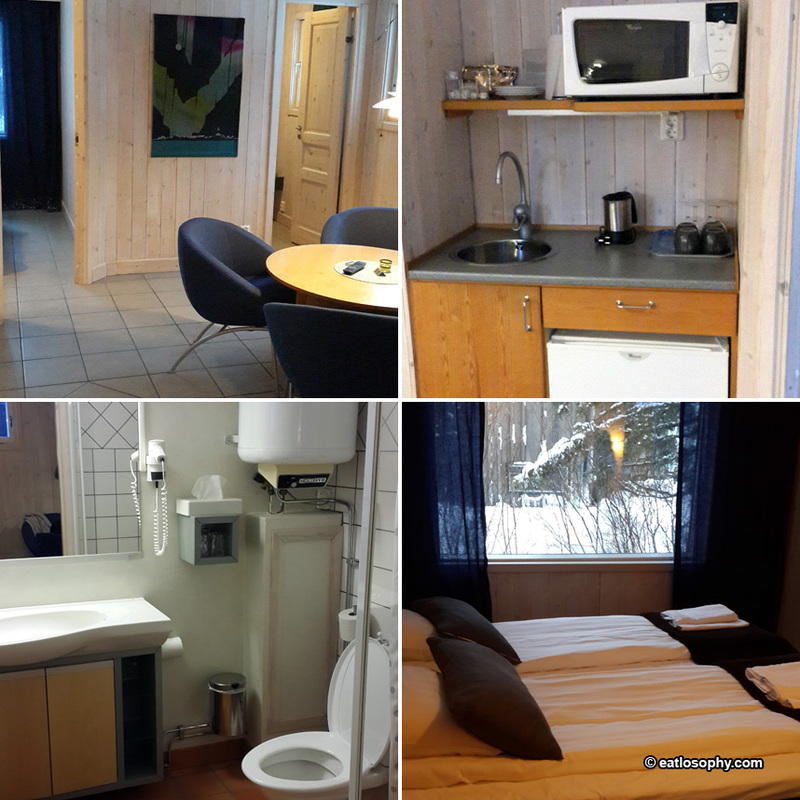 It was spacious with comfortable beds, kitchen, dining area, private restroom, wifi and cable TV. 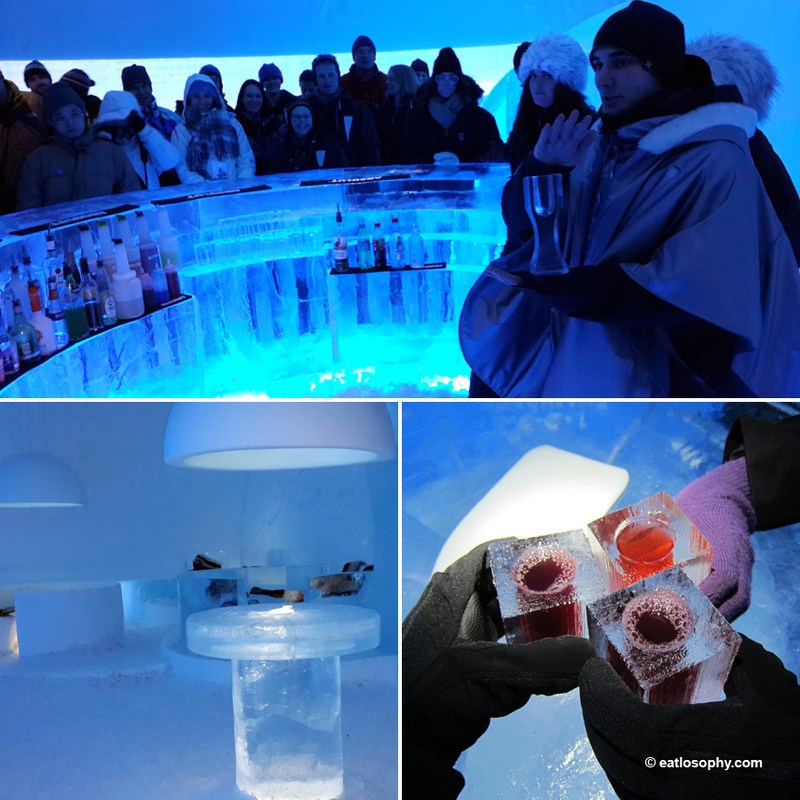 Don't miss a drink or two at the Ice Bar, which is open late. 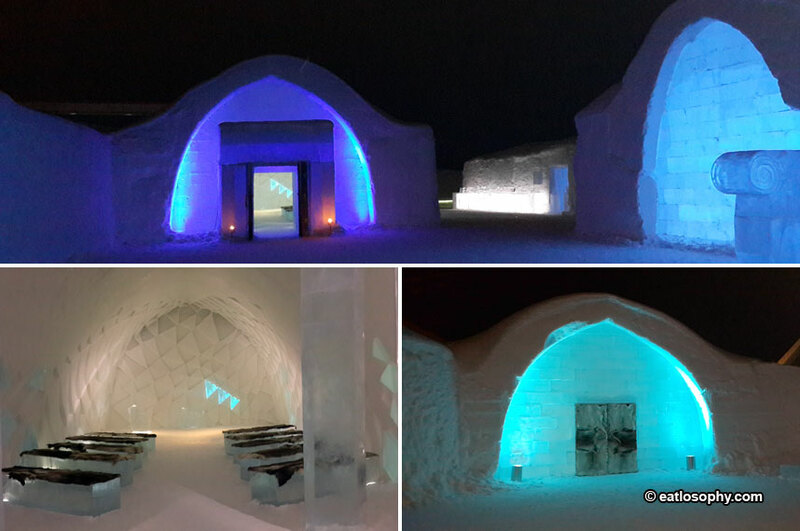 It is one of the main attractions where you can drink alcohol/non alcoholic drinks in glass made up of ice. A very fun experience. Ice anyone ? 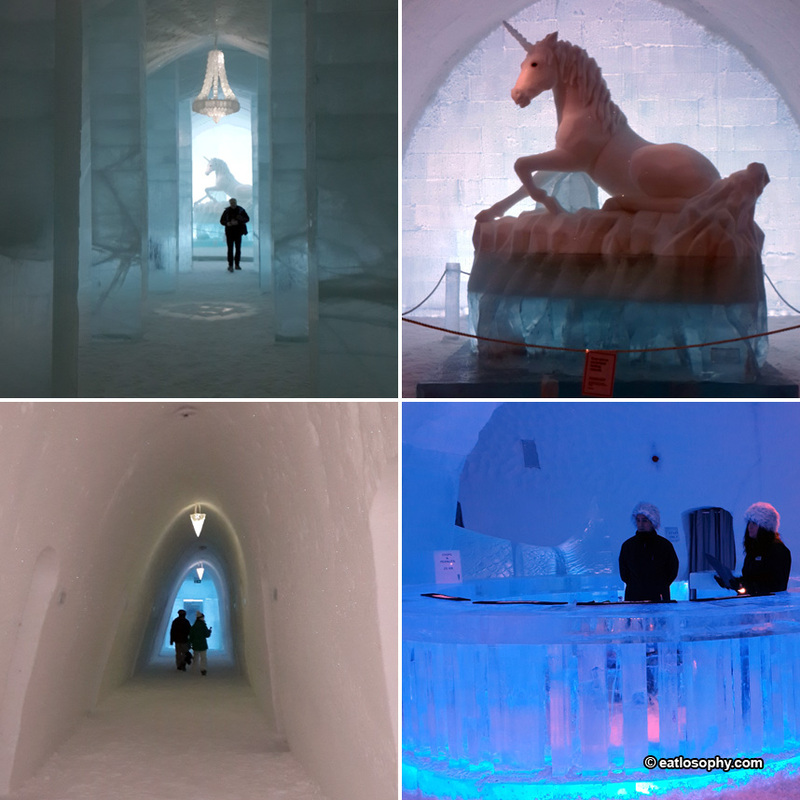 Visit each of the rooms to stare in awe at the creative artwork made of ice. 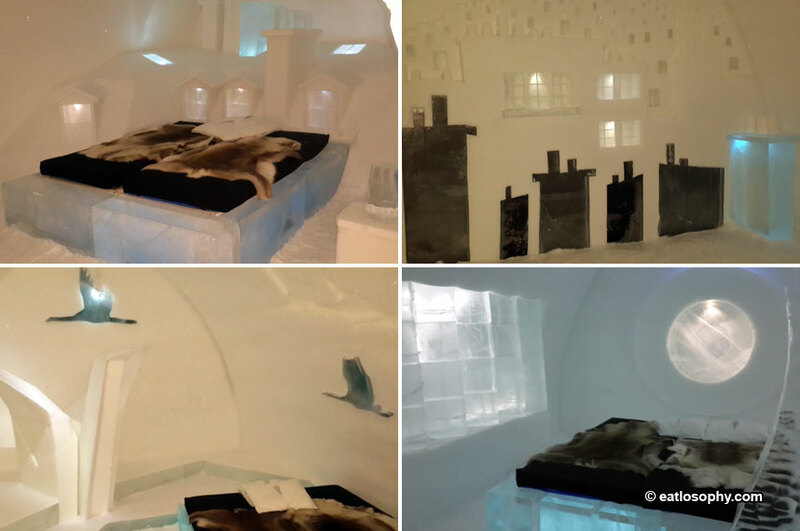 The fantastic ice craved rooms are all works of art to be enjoyed. Bear in mind that batteries on phones and cameras drain quickly when it is so cold. 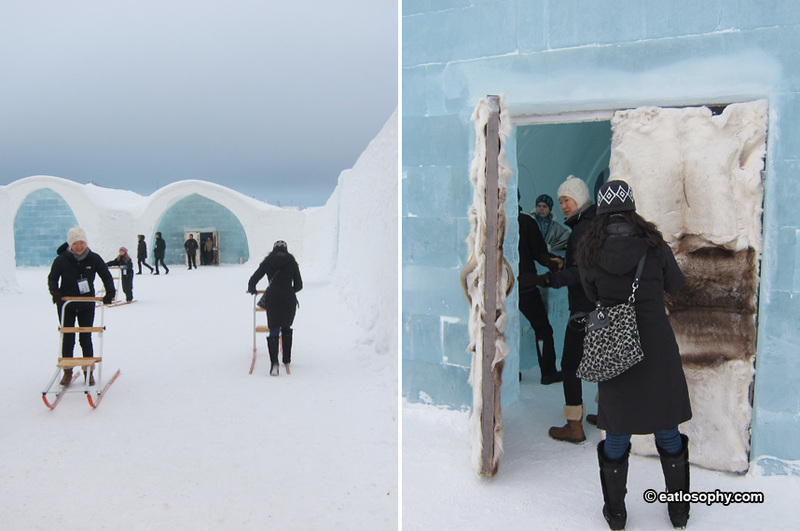 The ”cold rooms” in essence are ice caves, which are kept around -5 °C (23 °F) on a constant basis. They can be visited pretty much the entire day and then are closed for the guests for the night time. 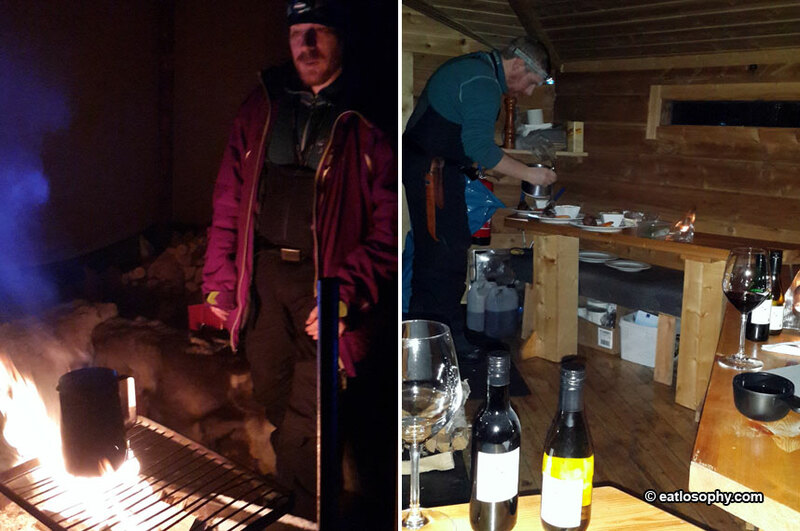 We joined a northern light tours at night. The location was in the middle of the forest. It was about 30 minutes from IceHotel by car. Unfortunately we didn't get to see northern lights. 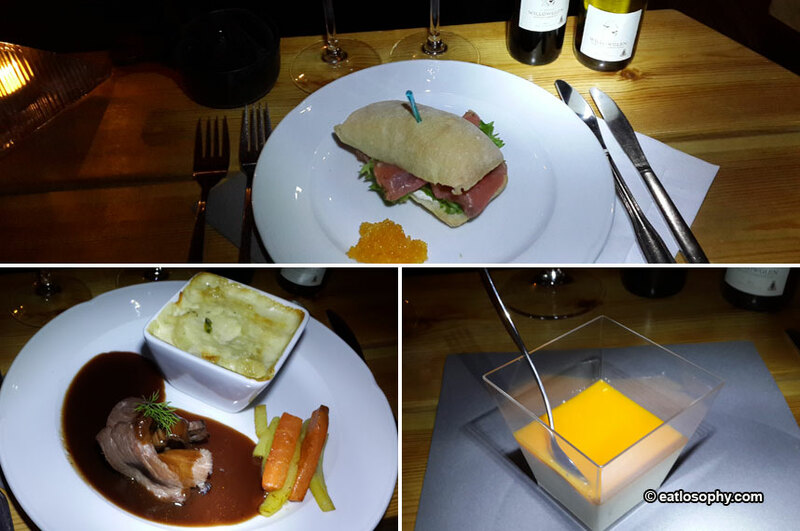 However we enjoyed our 3-course dinner very much.